Product | I have used a fair few loose powders and always been left feeling slightly underwhelmed, especially because my main reason for using them is to combat excess oil and keep my face looking matte all day. Bloggers adore this so I decided to give in to the hype and give Sephore all my money. I apply this after my foundation and concealer and add it to areas where my skin is oily (under eye, nose area, and forehead) to set my make up and give my skin a matte finish. The product is easy to use, just spill some powder into the lid and apply with a brush and voila! My skin looks flawless not cakey or powdery after application and feels like velvet. I've also noticed that my skin stays matte all day so no top ups at work! 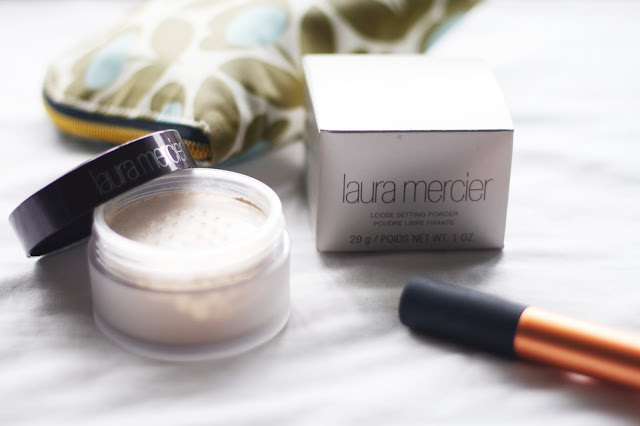 This is such a great product and I actually think this is my first purchase from Laura Mercier! Packaging | I think the packaging is great for this product, super sleek and it feels quite substantial. The powder dispenser is pretty good, you simply just spill some product into the lid, only small amounts gets dispensed so no product waste. Love it! Price | Now for a powder this is pretty steep, $38 to be exact! Is it worth the money? Yes I think so and so do many other bloggers. I reckon its going to last me a long time because I only use a small amount and you can dispense as much as you need so there is no pouring money down the drain. 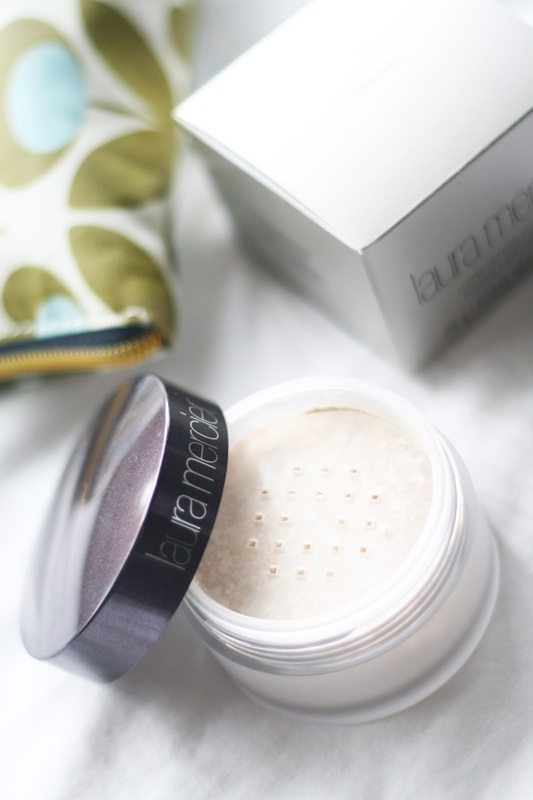 If you love a matte finish to your make up I would highly recommend this powder! You can purchase it here.